I prefer preparing the upcoming week's breakfasts on the weekend. I make breakfast tacos or scones and freeze them. They take minutes to reheat and I can carry them out the door. 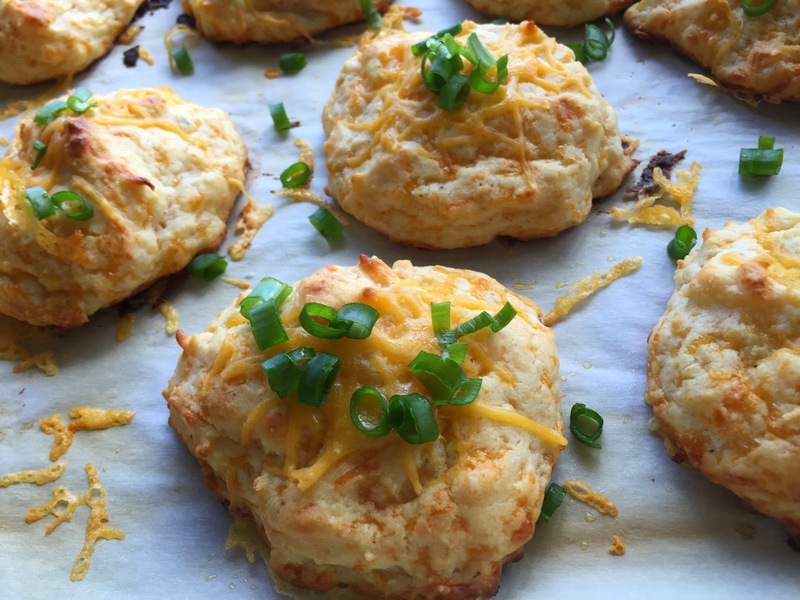 Today's recipe is for cheddar pepper biscuits (I made it healthy by not adding bacon...). This recipe can be doubled or tripled. Martha Stewart has a similar recipe in the November 2014 issue of Living. 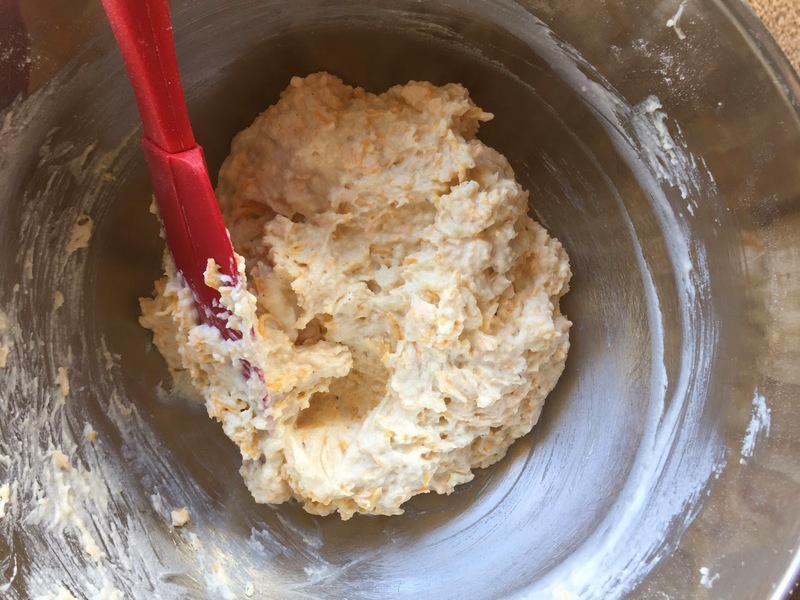 It is a massive master mix that can be frozen and turned into scones or savory cheddar biscuits. 3. 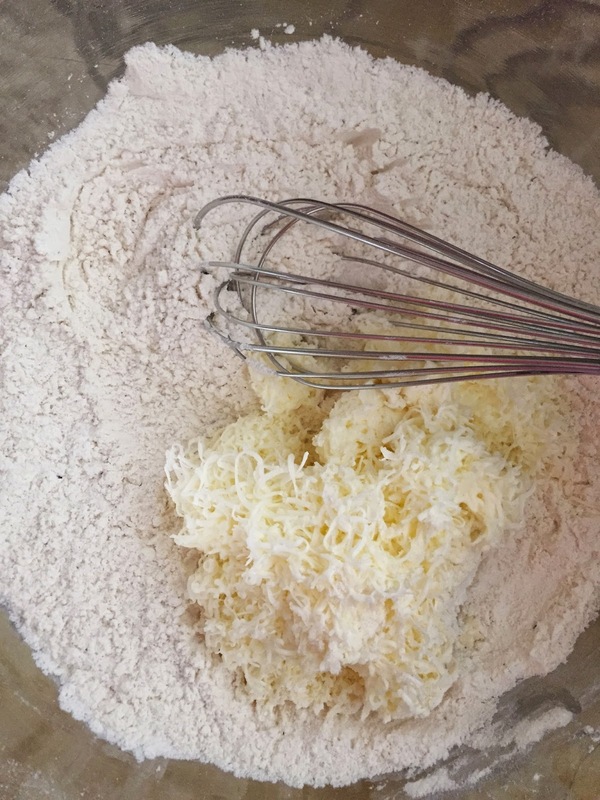 Add grated butter, mix evenly. 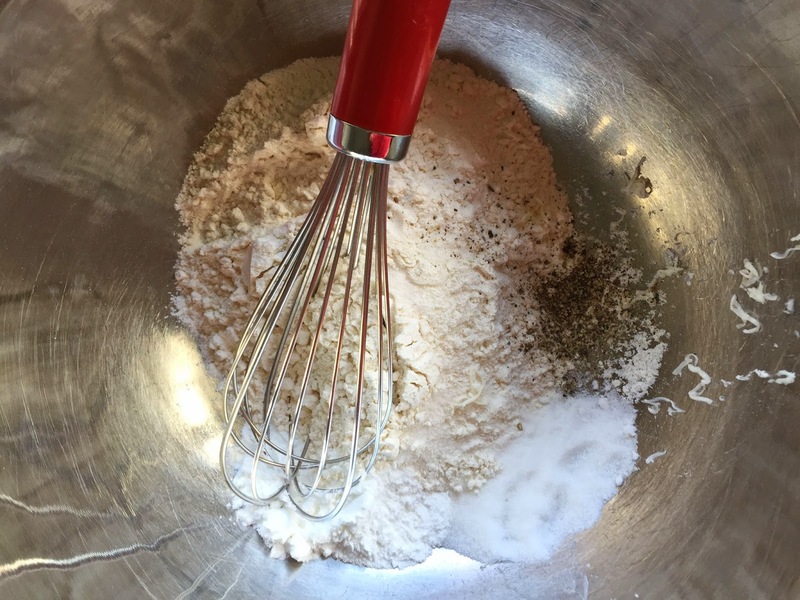 If it has already started to melt, use your finger tips to evenly incorporate it into the flour. 4. Add milk to mixture. It may look very liquidy at this stage. Don't worry, the flour will soak it up. 7. Bake for 18 - 20 minutes. Check to make sure the bottoms are not burning. 8. A few minutes before they are done, add a bit of cheddar to the tops and bake for about 2 more minutes. 9. After they are done, add chopped scallions to the top. I love scallions but you can add flat leaf parsley or basil or jalapeño or really anything you want. I let them cool and refrigerate the remaining for up to 5 days. They will last longer if you freeze them at this stage but they get eaten so fast I have not tested how long they last in the freezer. ADDENDUM: apparently some (most??) 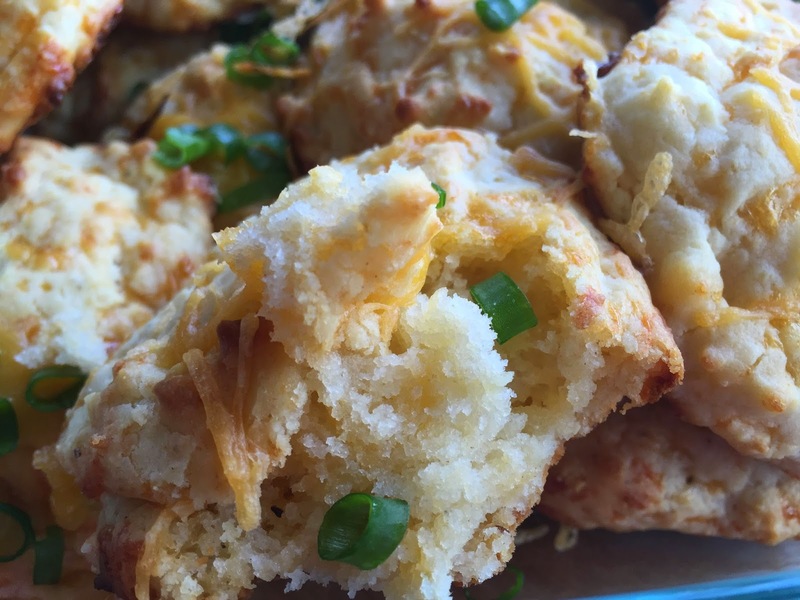 people don't eat cheddar biscuits or cheddar bacon scones for breakfast (you are missing out!). I like them all day but if you must, eat them during lunch or dinner, high tea or elevenses. Whatever. Just eat them.